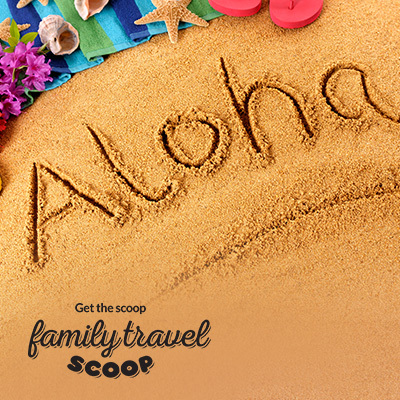 Don't Plan your Hawaiian Vacation without reading this first! 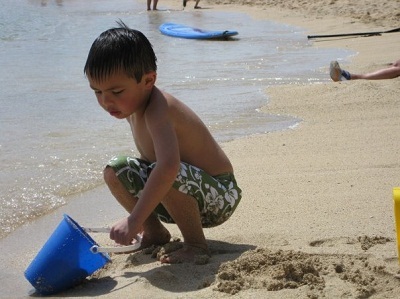 Beaches, snorkeling and luaus are some of the best things to do in Honolulu with kids. 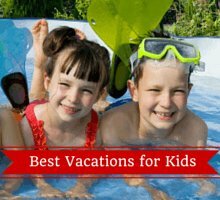 There is something for kids of all ages to enjoy on your Hawaiian family vacation. Babies and toddlers will be enchanted in the aquarium and zoo. 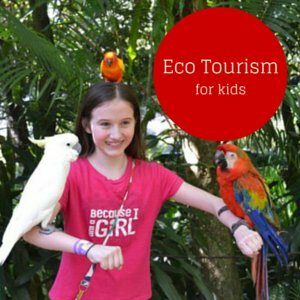 Children will enjoy a hike in the rain-forest and a visit to Bishops' museum. Teenagers will want to hang out at the lively Waikiki beach and learn to surf! 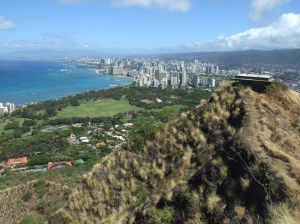 Honolulu can easily be explored by bus or rental car. Parking can be a challenge especially during high season at the popular Honolulu attractions. 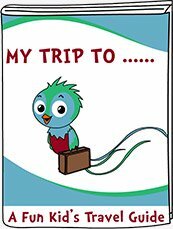 There are also several hop on hop off bus and trolley options to bring you to the main sites. The weather is great year round with lots of tropical sun. The summer months are the hottest and driest. Remember to pack some biodegradable sunscreen so there is no damage to the fragile Hawaiian ecosystem. If you are traveling to Honolulu with a baby or toddler you will be able to find diapers for all sizes as well as baby food and formula at the grocery stores and pharmacies. They are however more expensive then in mainland USA so try to bring enough to last your trip. An umbrellas stroller and baby backpack carrier are ideal for exploring on your Hawaiian family vacation. Honolulu is a popular spot for a family vacation. You will find plenty of choice for family friendly accommodations. 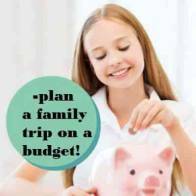 Choose from cheap family rooms, central holiday apartments, cool resorts with kid's clubs and luxury hotels. Check out these best Honolulu family hotels. Diamond Head is a huge crater (350 acres) formed from a volcanic eruption 150,000 years ago (Don't worry its not active any more!). Your family can hike up to the top for incredible views of Waikiki and the Pacific Ocean. The hike takes about 30 mins-45 mins to the top and includes 2 sets of steep stairs(75 & 100 steps each). There is also a narrow tunnel to go through. This is best suited for older children (6 and up) and teenagers. Bring water with you and don't forget the sunscreen and camera! If you go in the early morning you can avoid the crowds and heat. Be sure everyone is wearing comfortable running shoes, no flip flops! This is one of the sporty things to do in Honolulu with kids. A visit to the Bishop Museum is one of the best things to do in Honolulu with kids. They will have a great time at this interactive museum learning about the history and culture of Hawaii. There is a volcano exhibit that the kids will learn a lot from! They can pump up the volcano to get the lava flowing, then watch it erupt! There is lots to see and do. Waikiki Beach is one of the lively (aka crowded) beaches in Honolulu! There are lots of waves here so great for boogie boarding or learning to surf. There are lot of vendors, restaurants and shops nearby. There are definitely better beaches around the island but you should experience this one at least once! Added bonus -you can enjoy a Mai Tai from one of the beach bars while the kids build sandcastles! Be sure to watch a gorgeous sunset on your Hawaiian family vacation. Take a stroll through the Lyon Arboretum with your family. A great way to experience the beauty of this island. This is a research facility run by the University of Hawaii. Follow the trails and learn about the beautiful tropical flowers, plants and trees. Guided tours are available. Enjoy a hike to Manoa Falls through the beautiful Hawaiian rainforest. It is a fairly easy one hour hike but the path can be quite muddy and slippery. The kids will have a good time seeing the bamboo, exotic colorful flowers and climbing over the twisty tree trunks. 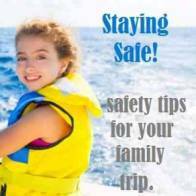 It is too dangerous to swim here but you can get great shots for your Hawaiian family vacation photo album. Don't forget to bring some water and snacks in a backpack! 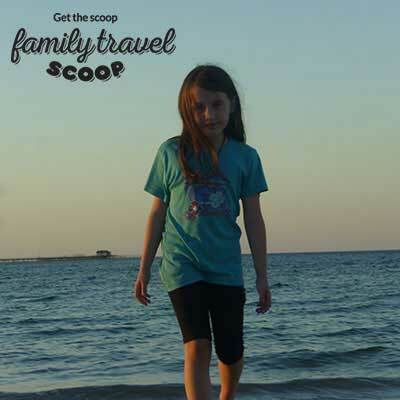 Buy this Hawaii travel guide for your kids now! Snorkeling at Hanauma Bay Nature Preserve is one of the best things to do in Honolulu with kids. You start by watching a short film on the importance of preserving the coral. The water is shallow and your children will love seeing the colorful tropical fish, coral and sea turtles! You can rent snorkel equipment and life vests here. There is a beautiful beach as well. Pack a picnic lunch and spend the day! It is closed on Tuesdays. Don't miss out on this on your Hawaiian family vacation! USS Arizona Memorial is a great way to educate your children on the attack on Pearl Harbor, an important part of America's history. There is a museum to explore with a film documenting this event(it is suitable for children-though young children may be startled by the sounds of the bombs). You will be given a time for your visit to the actual memorial. Go as early as possible as you may have to wait a few hours before you can catch the boat over-ticket sales start at 7am. There is a snack shop here. It is a few minutes boat ride and you will cross over the sunken battleship as you arrive at the memorial. Tickets are free and security is tight (all bags and purses must be kept in a locker). This will be a very moving experience on your Hawaiian family vacation. Your family may be able to meet some of the survivors of the attack. USS Bowfin has a museum and submarine to explore. There is a fee to enter this one and children under four are not permitted on the submarine. There is a children's audio guide available! Pacific Aviation Museum is a small museum with several planes and helicopters from the Pearl Harbor attacks. There are flight simulators that the kids will be very entertained with (for a fee)! 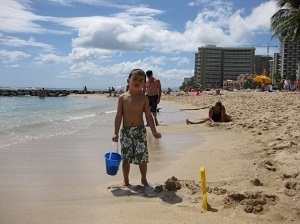 Ala Moana Beach is one of the best Honolulu beaches for kids. It is a sheltered beach with shallow calm water, perfect for babies, toddlers and children! There is a reef here making for great snorkeling! Teenagers will enjoy watching the surfers way out past the reef. The sand is nice and soft and there is a park in behind with lots of shade and green spaces for the kids to run around! It is also a much more peaceful beach then Waikiki. 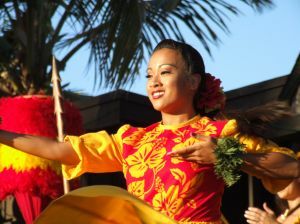 Attending a Luau is one of the interesting things to do in Honolulu with kids. There are lots of activities including shows, dance lessons, leis, spear throwing, fire walking and ceremonial demonstrations followed by a tasty Hawaiian feast! Paradise Cove offers some of the best family friendly luaus! The Polynesian Cultural Center also has an excellent luau for kids. This is a must do on your Hawaiian family vacation. A visit to the Honolulu Zoo is one of the great things to do in Honolulu with kids. It is a small zoo but has some interesting animals including meerkats, giraffes, monkeys and tigers. There is a children's area with a petting zoo and play structure. This is a great spot to visit with babies, toddlers and children! 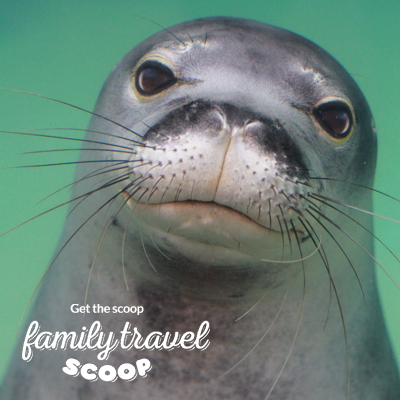 Waikiki Aquarium is a fun family friendly Honolulu attraction! 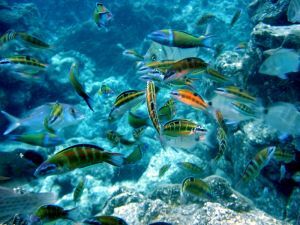 There are colorful fish, lobsters, monk seals, jelly fish and octopus! Great place to bring your babies, toddlers and kids who can't snorkel yet! One of the best things to do in Honolulu with kids! It is a small aquarium and can be combined with the nearby Honolulu Zoo for a great day out. Whale Watching Tours are exciting for the whole family! Head out on one of the tour boats in search of the hump back whale. Many tours have a naturalist on board to educate you on these beautiful creatures as well as a meal included. Whale season is January 1-March 31st. This is a really unique thing to do in Honolulu. Children's Discovery Center is one of the best attractions for babies, toddlers and young children. It has special play areas for babies and toddlers. Children will love dressing up in different career outfits and learning about different jobs! There is also an interactive area that teaches children about their body. This is a great rainy day activity. Learning To Surf is one of the active things to do in Honolulu with kids. Teenagers will especially love this! There are many surf schools offering lessons for ages five and up. 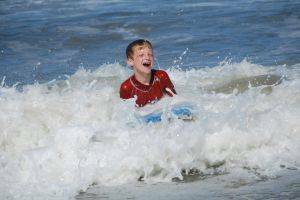 Parents can join in the fun too and learn to ride a wave. This will make for an unforgettable Hawaiian family vacation. Atlantis Submarine is one of the unique things to do in Honolulu with kids. Descend a 100 feet in a hi tech submarine and exploring the exciting under sea life. Children must be at least 36 inches to ride in it and there is a 7 step ladder to get in and out of the submarine. 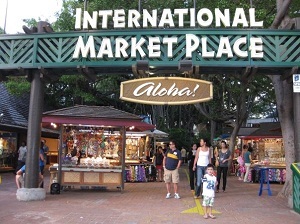 Teens will love to shop at the International Market Place and pick up some great souvenirs! The shop til you drop atmosphere is awesome! Sea Life Park is located North Of Hanauma Bay. Children can watch the sea lion shows, penguin and dolphin shows. Check out the huge aquarium tanks filled with sharks and stingrays! There is a playground here for the kids. Don't miss the sea turtle feeding! Great for kids of all ages. Babies, toddlers and small children will love the dolphin encounter program. Children 8 and up can swim with the dolphins! (extra fee). One of the unforgettable things to do in Honolulu with kids! Rent a car for the day and circle Oahu. Stop at some of the beaches for a quick swim or to watch the surfers, visit the Dole Pineapple plantation and try some sweet juicy pineapple and visit the blow hole. Kids will be thrilled watching the water spray 30 feet in the air through a molten lava tube! There are many yummy Hawaiian food for kids to sample on your Hawaiian family vacation. The kalua pig, breadfruit, grilled tuna and fresh pineapple will soon be your children's favorites! Parents can enjoy a refreshing Mai Tai! Share your favourite things to do in Honolulu on our Facebook page! Sharing is caring!